Casey Andringa is growing a mustache for good luck. Sitting in the Deer Valley Resort’s Bald Eagle Room at Snow Park Lodge on Tuesday, his long hair swept back, he said it may not be the most full and luxurious mustache a man could have – “Some people have called it the creeper stache,” he said — but it’s certainly doing the job. At 22, Andringa is easily having his best season yet as a moguls racer. He has had his first outright win at the U.S. Selections in Winter Park, Colorado, which meant he got his first nomination to the U.S. Ski Team. 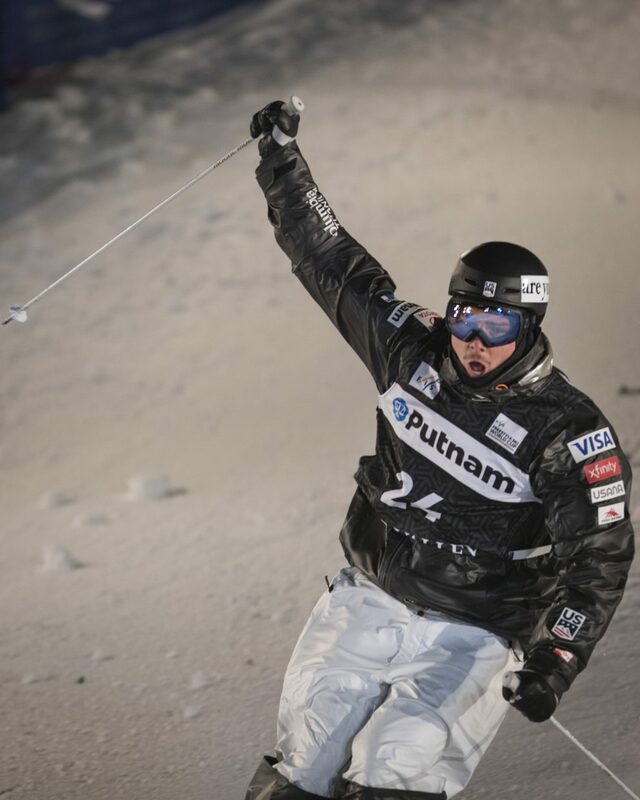 That win also meant he got to ski in his first World Cup competition, where he took seventh, then broke into the super finals (top six) for the first time at the Deer Valley World Cup. 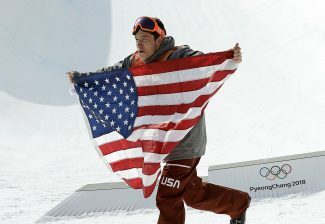 That result helped cement his place as one of the top three moguls racers on the U.S. Team, and led to his selection to the Olympic Team. 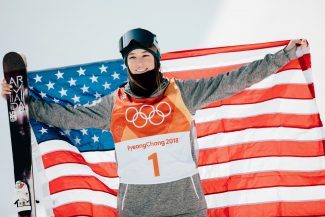 Hunter Bailey, Andringa’s friend and teammate on the Vail Ski and Snowboard Club, said from an outside perspective, it’s easy to call Andringa’s nomination to the Olympic Team a wild and unpredictable turn of fate — a fluke. But Bailey has seen Andringa’s rise firsthand, and said it’s just as crazy that he has never made it this far before. 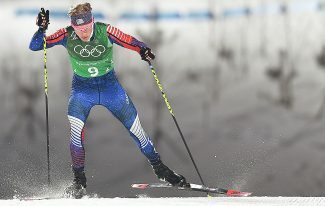 Born in Wisconsin, Andringa’s parents moved to Colorado when he was 3 and he promptly started skiing. At age 7, he saw Jonny Moseley drop the dinner roll and change the course of moguls skiing. Andringa joined the Winter Park freestyle team at 8. Ten years later, he was close to making the U.S. National Team, but tore his meniscus a week before the Freestyle World Junior Championships. 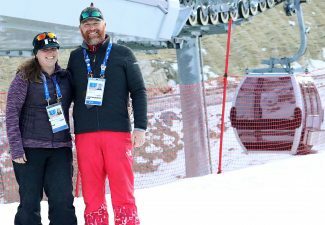 In the following year, he joined the Vail Ski and Snowboard Club and began learning his new team’s process while performing physical therapy and nursing the persistent pain from his knee injury. “I had this little pill bottle of anti-inflammatories that they called ‘the magic bullet’ because, if I wanted to ski that day, I had to take one, otherwise I was in too much pain,” he said. That year he also went to Switzerland with Vail for his first training camp abroad, which he thought for a while would be his last. Bailey remembers Andringa complaining of a terrible headache, but he didn’t know him well at the time, and didn’t know how normal this was for Andringa. “One day we were heading up the tram and he started freaking out,” Bailey recalled. Andringa said he couldn’t see because his head hurt so badly, and Bailey condoned a trip to the doctor. Bailey said he had been to the same clinic in Zermatt and said he was not impressed with the level of care available. After a few hours, the situation took a dire turn. While sitting on the couch, Bailey noticed his new teammate’s face was swelling wildly. “I thought they were joking around with me because everyone gives each other (crap) all the time, but I looked in the mirror and the whole left side of my face was puffy and drooping,” Andringa said. Soon, his left eye had swollen shut. He was taken to a clinic in Visp, Switzerland, by ambulance — an hour’s drive from the training camp. He later revised that statement to an estimated four hours of sleep over four nights. With no Wi-Fi and no book, Andringa lay awake counting the dimples in the ceiling. “Then, finally on the fourth day I woke up with a 105.6-degree fever,” he said. Andringa’s grandfather, a doctor, told him by phone to not get on another ambulance until they had given him a certain antibiotic. They did, and he was driven to Bern, Switzerland, another hour away. In Bern, Andringa was isolated from his teammates. Andringa was also frustrated. His headache had not subsided, and he was struggling to glean information from the largely German-speaking staff. The infection that had started in his eye had not relented, and doctors were worried that, because of a 7-inch skull fracture he sustained at age 14 while skateboarding, it could slip through his skull and into his brain. “So they waited to see if I needed emergency brain surgery, but because of that switched antibiotic, I started getting better and then was released like four days later,” Andringa said. He was left largely intact, but his illness had compromised his fitness for that season. Ironically, he said the healthy lifestyle he had adopted to overcome his knee injury might have saved him from meningitis. The next season, he worked back to fitness but blew out the meniscus on his other leg. He worked back to health yet again. In the 2016-2017 season, he finished second in the U.S. Selections event and missed out on the team again. In that season, he finished on the podium at every North American Cup competition but one. Andringa spent last summer and fall in a in a pop-up camper in Routt National Forest outside Steamboat Springs, Colorado, to avoid paying rent money while training, then he finally finished first in the U.S. Selections event and made the U.S. Team. He then took on the World Cup circuit and earned his first top-six result in his second ever competition. 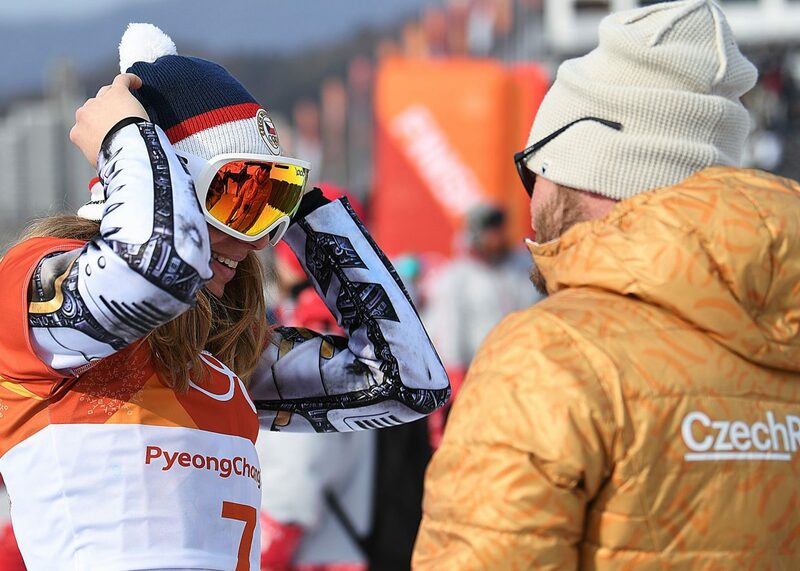 He finished 24th in the Tremblant World Cup in Canada on Jan. 20, but had built up enough points to maintain his position on the team and earn an Olympic berth. Bailey said after all his friend had been through, he had a hard time processing that Andringa was finally going to the Olympics, and Andringa himself could hardly believe it. Every once in a while, Andringa said he still looks around, takes in his situation and his mind balks. He considered his trip to the Olympics like winning the lottery. Sitting at Deer Valley Resort, he said he hadn’t yet planned a bucket list for the Games. He would lay out some competitive and personal priorities that night, but at that point, it was already more than he could have asked for.